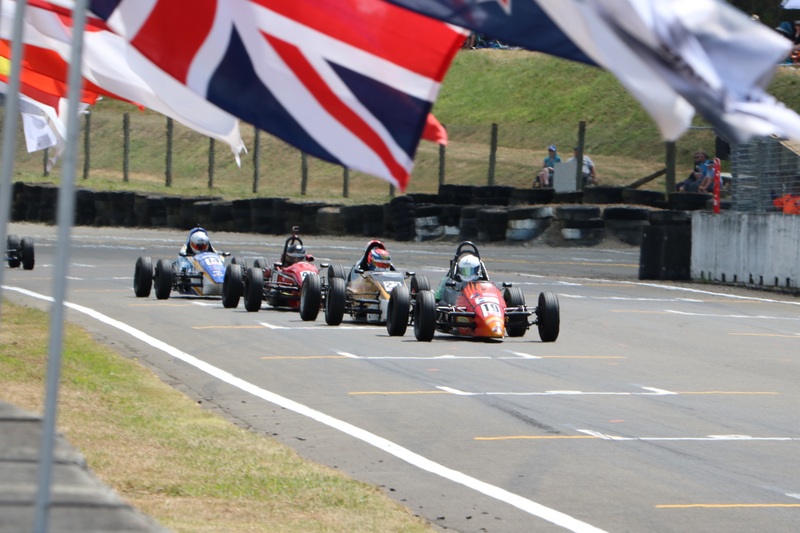 Reece Hendl-Cox has taken race three at the New Zealand Grand Prix meeting at Manfeild Circuit Chris Amon. It was another hotly contested affair with the win undecided until the very last moment. Rookie racer Thomas Boniface scored a strong second-place finish, but would later receive a penalty which would relegate him to eighth. Brody McConkey then inherited second place ahead of Liam Foster in third. Billy Frazer would finish fourth while Chris Symon, who seemingly failed to fire on one of his most successful circuits came home fifth. Ronan Murphy lead the way for the rookies finishing sixth ahead of Amy Smith and Boniface. Louis Redshaw grabbed a top ten finish with ninth place ahead of Ron Carter in tenth.